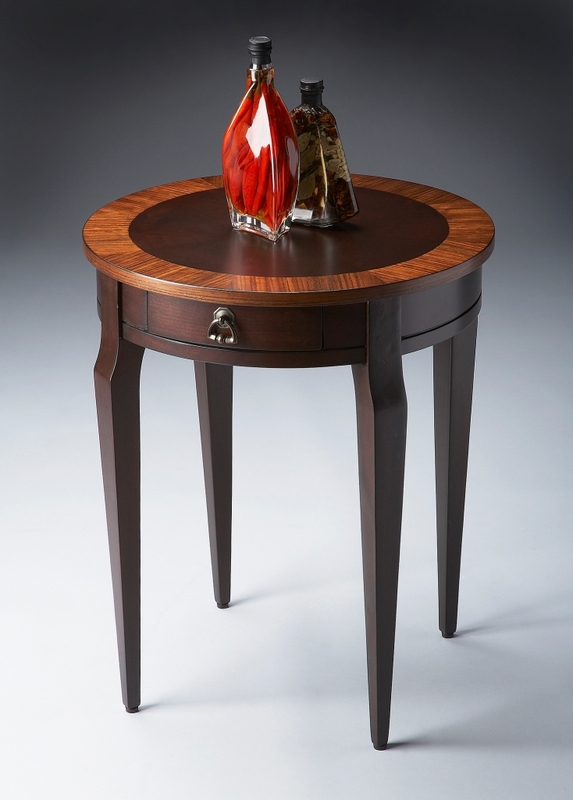 This charming side table is made of select solid woods, wood products and choice veneers. The top features outer edges of end-cut mozambique veneers with a center inset of select cherry veneers. There is a single drawer with antique brass finished hardware. Next Post Product of the Day: Design Center West – Sheets That Breathe!